Bethesda has shown that it’s continuing to embrace virtual reality during its E3 2018 presentation by announcing two brand-new VR games for more of its biggest franchises: Wolfenstein and Prey. Prey’s VR release will come later this year and will be called Prey Typhon Hunter. Typhon Hunter VR (for which there will also be a non-VR version) will come as a free multiplayer update to the upcoming Prey DLC called Mooncrash. This is a competitive game mode which is basically a high-stakes game of cat and mouse, pitting Morgan Yu against mimics that will hide or try to disguise themselves as every day objects in order to hunt Yu down. This VR mode will be joined by another - TranStar VR. This mode is essentially an escape room which allows players to take up the role of TranStar employees who must solve puzzles in order to escape from the Talos I space station. Wolfenstein’s VR mode on the other hand will be available as a standalone release sometime in 2019. 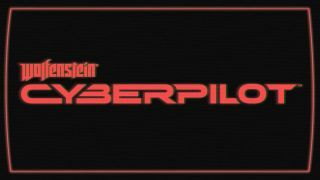 Called Cyberpilot, this VR game will be set two decades after the events of Wolfenstein II: The New Colossus. The resistance has become much more technically adept and players will take up the role of a resistance hacker tasked with tearing apart the Nazi forces in Paris using their own machines against them to aid the French resistance. Following Bethesda's success with VR versions of games such as Doom, Fallout and Skyrim it's good to see it continue to try to experiment with the platform. It wasn't confirmed which VR headsets these games would work with but Oculus Rift and HTC Vive are likely. We'll update this piece when they're confirmed.